Learn by playing..that is what the Ancient Romans used to say! Venice tour for kids and families led by a top-rated guide! Colosseum & Ancient Rome Tour for families! 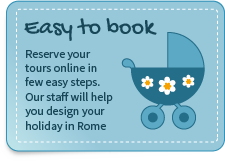 Visit Rome, the Vatican and Ostia with your kids! Ciao! My name is Maria, I am an Archaeologist, an official tour guide and a very active 3 years old doughter mom! Rome is a huge and overwhelming city with so many things to see. My goal is to make your vacation in Rome memorable with lots of great moments! 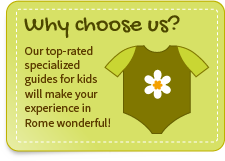 I tailor my tours according to your family needs, engaging both parents and children with stories, multimedia tools, fun games and activities. My motto is “each child has his own way to develop and learn, once you find the code you are on an amazing journey”. 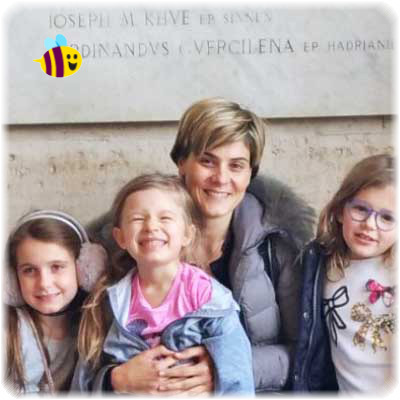 Rome Tours with kids © 2018 - All rights reserved.